It has been a busy year since Victory Club launched membership at last year's cookie swap. We now have a robust membership of entrepreneurs and influencers. We have hosted 30 events in New York, London, Miami, and the Hamptons. We have been covered by Food & Wine, Town & Country, Harper's Bazaar, and many others. This year, we celebrated! At Geary Contemporary on Saturday, we welcomed 50+ guests with a social media reach of more than 1 million! Guests munched on cookies from Eleni's, Neuman's Kitchen, Amy's Bread, Studmuffin Desserts, & Brookie's Cookies while enjoying Michael Meehan's "Ice Bather" show. The invitation was clear: Bring a friend... or a batch of cookies. And so many of our friends and their friends came! The event would not have been possible without Julie & Abby. 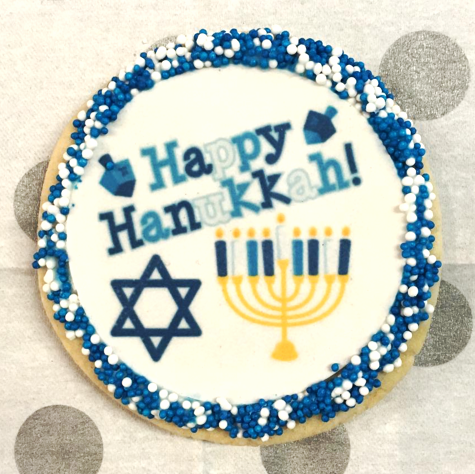 We're excited for another year of Victory Club -- and many more cookies!